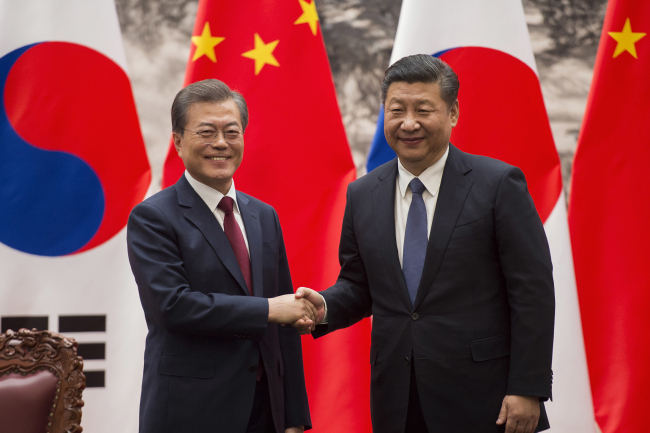 South Korea can and should go beyond the great power dynamics of the United States and China and proactively look further afield for strong partnerships, according to China expert John Delury. Instead of oscillating self-consciously between Washington and Beijing, the Yonsei University professor suggests South Korea can strengthen its relationships with the Association of Southeast Asian Nations and the European Union. Delury told The Korea Herald that much of what was observed last year between the US and China regarding North Korea was likely to repeat itself this year, as Pyongyang incrementally improves its nuclear capability. A historian of modern China and expert on North Korean affairs, he said that the recent sanctions imposed by the international community on North Korea were counterproductive. Instead, the regime should be encouraged to economically participate in the region, he said. 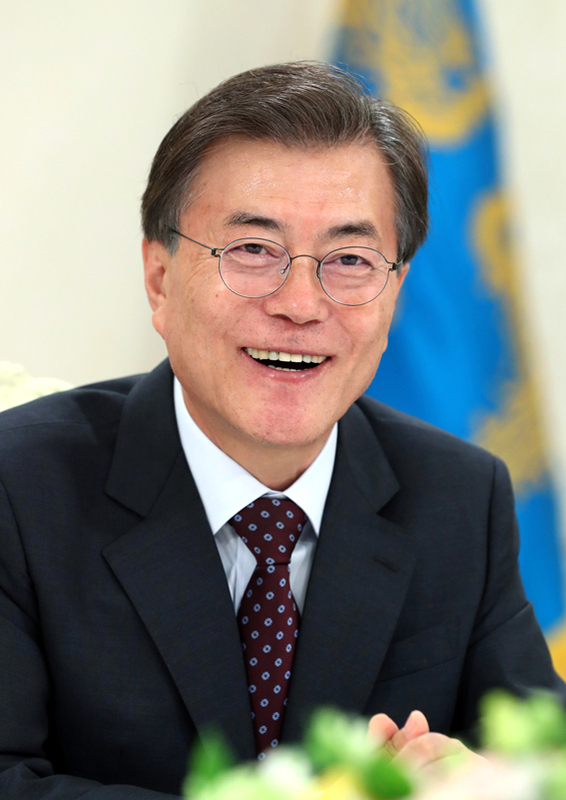 He also stressed that the nuclear issue can only be tackled in realistic terms by directly communicating with North Korea. 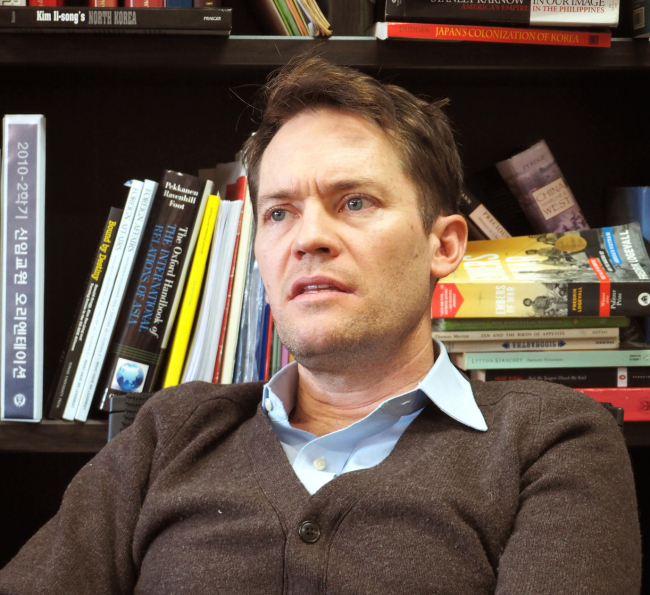 Having taught at the university since 2010, Delury previously lectured on Chinese history and politics at Brown, Columbia, Yale and Peking universities. He is the co-author of “Wealth and Power: China’s Long March to the Twenty-first Century” with Orville Schell, a senior fellow of the Center on US-China Relations and a term member of the Council of Foreign Relations. The following is an edited version of an interview held at his office in December. 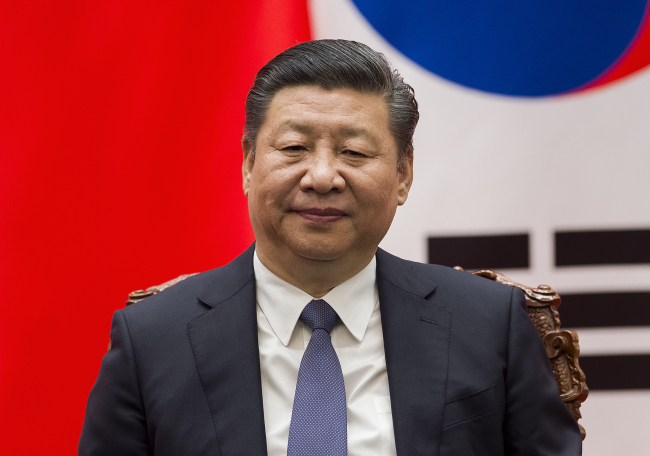 The Korea Herald: Chinese President Xi Jinping has strengthened his grip on power following the 19th Party Congress from Oct. 18-24 last year, which kick-started his second five-year term. 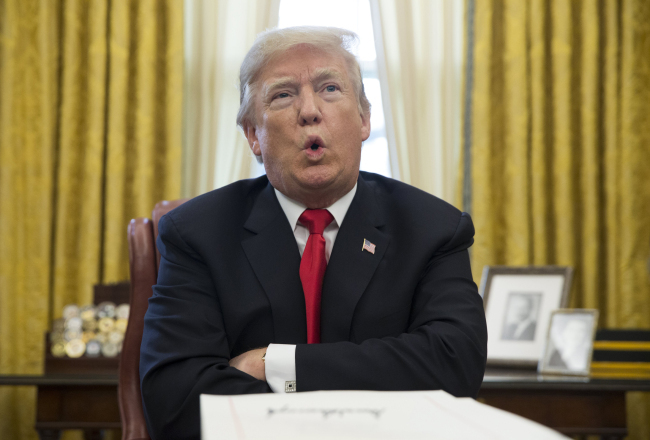 Meanwhile, US President Donald Trump is dogged by FBI investigations into possible collusion between his team and Russian officials in the run up to the election. How do you assess US-China relations last year and how might they move forward this year? John Delury: Although it’s easy to get caught up in the Donald Trump-Xi Jinping relationship, we have to remember that there are different levels of the United States-China relationships. Bilateral relations on both national and high leadership levels were stable this year. During his presidential campaign, Trump railed against China and threatened a trade war for the nation’s accumulated trade deficits against China. But that didn’t happen, partly because the American foreign policy was dominated by Russia and North Korea. Trump made a deal to Xi that if Beijing acted tough against Pyongyang on the nuclear issue, Washington will be soft on trade issues. And Xi accepted that wisely. Meanwhile, Russia has become the new bogeyman in the American imagination. The US has been under fears of subversion by the alleged Russian interference, with allegations of malfeasance surfacing from the Trump camp. Russia has become the focal point of American anxiety over its place in the world, the lightening rod that attracted the public’s attention away from China. These factors have stabilized the US-China relations consequently, and led to substantial cooperation, particularly on North Korea. It’s hard to predict how the relations will go in 2018, but one thing that’s clear is that North Korea has become the critical ingredient in Trump-Xi stability. There is a long range of possibilities in terms of how Trump will handle North Korea this year. His approach ranges from initiating a military conflict, which many people think is a real possibility, to a diplomatic breakthrough that includes potentially meeting with Kim Jong-un. But muddling through between the two, as we have done, is the safest bet. So 2018 could look a lot like 2017. North Korea will make incremental progress toward perfecting its nuclear and missile capabilities, albeit at a lesser pace than last year. KH: Is China doing enough on North Korea? Is there a way to change Beijing’s strategic calculus on the Korean Peninsula, including being amenable to the unification of two Koreas? Strategically speaking, what do you think of the proposed “grand bargain” -- as suggested by Henry Kissinger -- for a unified peninsula? JD: The idea of a grand bargain is unrealistic. It is wishful thinking of Americans that they can convince the Chinese to believe as they do regarding North Korea. 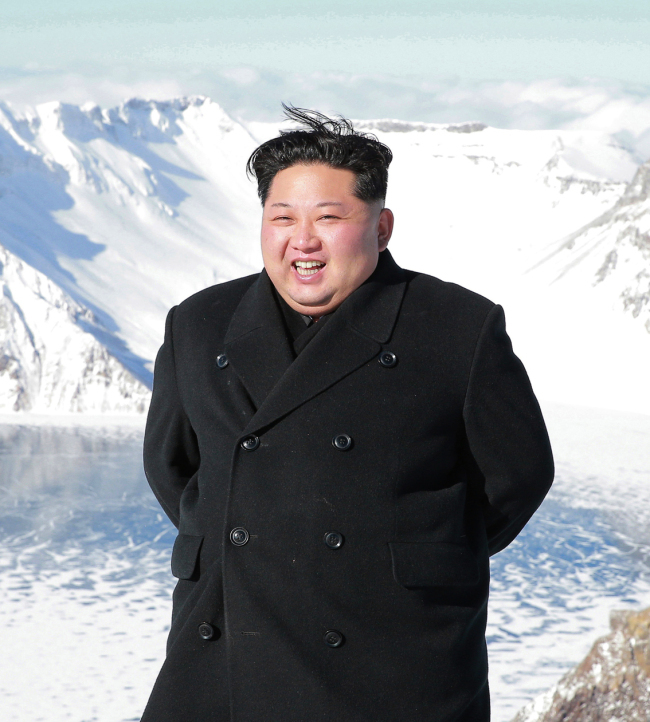 Against all odds, North Korea has survived countless adversities over the years. It is now somewhat prospering economically by its own standard, and militarily it is a de facto nuclear power. Most fundamentally, I do not believe there is a strong desire for unification in South Korea. Neither the government nor society seem to actively embrace the idea. KH: You have warned in your recent articles about the danger of a “business as usual” approach in South Korea as the rhetoric for going to war with North Korea heats up in Washington. As Pyongyang inches closer to perfecting its nuclear capability, what can ordinary citizens here do? JD: South Korea is in a bind where the public needs to be vigilant and aware of how far the US might be to actually launch a military strike on North Korea. On the other hand, if the warmongering rhetoric by Trump is merely a bluff and a ploy to rattle Kim Jong-un and make China rein in Pyongyang, it is a good diplomatic strategy. Washington obviously does not want to negotiate from a position of weakness. It wants to give the impression that if negotiations fail, it could actually bomb North Korea. One of South Korea’s strengths is its resilience and ability to ignore the daily danger and threat posed by the North. People should be vigilant, but not to the point of getting all wrapped up and caught up in it. KH: Thae Yong-ho, the former No. 2 North Korean diplomat at the London embassy, argued for subverting North Korea from within, by impregnating ideas of democracy, human rights and freedom with tailor-made contents. What is your view on this? JD: I don’t think a Pyongyang spring is around the corner. North Korea has a well-consolidated political system and a highly developed control apparatus. There is no civil society or institutions outside of state. One promising development is the growth of a fledgling consumer class, although it’s very early in the process. Furthermore, the country is tightly cut off from the rest of the world with sanctions, which include the expulsion of North Korean workers and diplomats, travel bans on North Korean individuals and financial and trade restrictions. Under this context, subversion by information is unlikely to be a silver bullet. The idea of people reading tailored pamphlets explaining how great democracy is and starting a revolution is far from reality. In Rodong Sinmun, the state’s mouthpiece newspaper, there are daily published pictures of protests in South Korea. North Koreans are exposed to the ills and woes of the South Korean society on a daily basis. The flow of outside information into the country is good in terms of helping people understand their leadership and place in the world. But framing it as subversion only makes it hard to achieve the goal, especially when the country is deeply isolated internationally. In a longer term perspective, I think the recent sanctions by the United Nations and US are counterproductive, as they go beyond targeting the regime’s nuclear and missile activities and restrict its trade, investment, fishing, textile manufacturing and more. Embargoing these activities will not lead Kim Jong-un to denuclearize. It makes it harder to integrate North Korea into the region economically. It cuts contacts between the country and the outside world, weakens the vested interests that benefit from stable external relations and moderate foreign policy. Smart sanctions are useful in preventing nuclear proliferation, but in the long run, we should encourage North Korea to engage in legal economic activities, such as fishing, light industry manufacturing etc. KH: How do you assess the double suspension idea -- suspension of military exercises by Seoul and Washington in exchange for North Korea’s halting of provocations -- as proposed by China and Russia? JD: The proposed double suspension is merely the beginning of cooperation on denuclearization. It’s the first step in improving the atmosphere to see what could be done next. But it’s a proposal by China and Russia, not South Korea or the US. Instead, South Korea and the US should be making proposals to North Korea and hear what it has to say. Due to the complete lack of dialogue, we end up listening to China and Russia without even understanding where North Korea stands. Say, for a suspension of military exercises, what would Pyongyang be willing to give up? We have no idea. We are at a stage where senior American officials should sit down with their North Korean counterparts to seriously discuss the possibility of denuclearization. The key issue is reopening the channel of communications with Pyongyang. What’s needed is coolheaded pragmatism. KH: Beijing has insisted on the implementation of the so-called “Three Nos” -- no additional deployment of the THAAD US anti-ballistic missile defense system, no participation in the US’ national missile defense system and no pursuit of a tripartite military alliance with the US and Japan -- which were agreed during a meeting of Chinese and South Korean foreign ministers in October. While South Korea insists that THAAD is deployed only to defend against North Korean missiles, China says its radar could spy on its territory. Analysts say Beijing’s ultimate goal is to have the THAAD battery removed from South Korea, while Seoul is adamant the issue is a matter of national sovereignty and security. How do you assess the agreement, and what do you think is China’s ulterior motive? JD: I believe both sides compromised on the THAAD issue before the presidential summit in Beijing in mid-December. The agreement could be seen as China’s loss, because Beijing ultimately couldn’t get THAAD removed from Korea. The same thing could be said of South Korea, which reportedly declared the “Three Nos” and buckled under pressure from Beijing. Ultimately, this seems to be a sign of good diplomacy, with both sides making compromises. The fundamental reason for Beijing’s objection seems that China sees THAAD as part of the US’ regional missile defense network and security architecture. Beijing thinks THAAD goes beyond responding to North Korean threats and is part of a containment strategy of China by the US. KH: Beijing has been aggressively pushing its vision of global economic integration and infrastructure modernization across developing economies through the One Belt One Road initiative, while Washington has been promoting its security-focused Indo-Pacific strategy across the Pacific and Asia. Korea seems wary of committing itself too deeply into either one. Is this a smart move? JD: I believe Korea, regardless of liberal or conservative government, could benefit from participating in both. In a way, Korea can have its cake and eat it. It is true that Korea does not easily fit into these competing visions of global integration and alliance. There is a contrast between the two. The OBOR envisions a worldwide economic integration, and is laden with political implications of having China in the center. It’s a mixed bag. There is something appealing about OBOR because it promotes a world of prosperity and development. At the same time, it’s worrisome to some, because it is based on a Sino-centric world order. The Indo-Pacific, on the other hand, is primarily a security architecture construct of a post-World War II order, centered around the US. It owes a lot to the “pivot to Asia” vision of the Obama administration, but without the economic considerations. Seoul could benefit from close economic partnerships through OBOR, while maintaining a strong alliance with the US through the Indo-Pacific. It would be easier to participate in both if the US-China relations were on a smoother footing. KH: China is increasing its global clout through diplomacy, foreign economic aid and technological breakthroughs. But given Beijing’s track record of violating international norms to pursue its national interests, is it safe to invest heavily in China, as Korea has bitterly experienced following the THAAD row? Many experts have advised diversifying Korea’s partnerships with promising countries like the Southeast Asian states. JD: The trend across Asia is that countries are diversifying their economic and security arrangements. It’s like a smart personal finance plan of having a diversified portfolio. With the US mired in political scandals and retreating from its global obligations, exacerbated by its foreign policy department in disarray, it’s difficult for any ally to chart a clear course amid all the chaos. And China is filling the void. But there is much room for South Korea. It can move away from the traditional great power dynamics, and stop seeing itself as the “shrimp among whales.” It can actively get involved in horizontal relationships with countries and organizations such as the ASEAN, European Union and Eurasian Economic Union. Doing so would keep the regional order balanced and stable. The Trans-Pacific Partnership that the US architected under Obama and withdrew from under Trump will go ahead without the US. It’s a good vehicle for South Korea to jump on board. KH: Many political scientists, with Francis Fukuyama in the lead, have put forth the argument that Beijing will not be able to continue its one-party rule as its citizenry becomes wealthier and more enlightened. This is based on the democratization theory -- that once people reach a certain income they will no longer allow themselves to be treated as “children.” Do you think China’s economic rise will lead to a reform of its political system and governance? JD: If I knew the answer to the question, I wouldn’t be a university professor. It is a speculative question, but academically speaking there are two schools of thought by the best-informed scholars of China on the issue. One view is that the system, as it is, is deeply rooted in the Chinese history, high resilient and able to satisfy enough of the citizens’ needs. It argues that the country is so large that the one-party system is necessary to coherently guide its development. On the other hand, another group of political scientists say the key to democratization is a critical mass of middle class. Currently, the civil space is so tight in China that you can’t generate a democratic movement. However, there are signs of unrest, such as environment-related protests and public health outcries that have gone viral online. There may come a point when the final straw breaks the party’s back. That middle class will demand a more open, pluralistic political system that better represents their interests. Fortunately, I’m a historian, so I get to sit back and watch how history unfolds. If I could predict the future, I wouldn’t be a university professor.